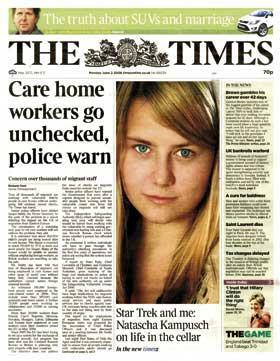 The Times and The Sunday Times have been jointly named Britain’s best-known newspaper brand in a new national survey. The 12th annnual Superbrands report, which is based on a poll of more than 2,000 adults, ranked the papers 131st out of the 500 strongest brands in the country – the highest score for a newspaper this year. The papers were narrowly beaten by National Geographic magazine, at 123rd, which was found to be the most recognised publishing brand. 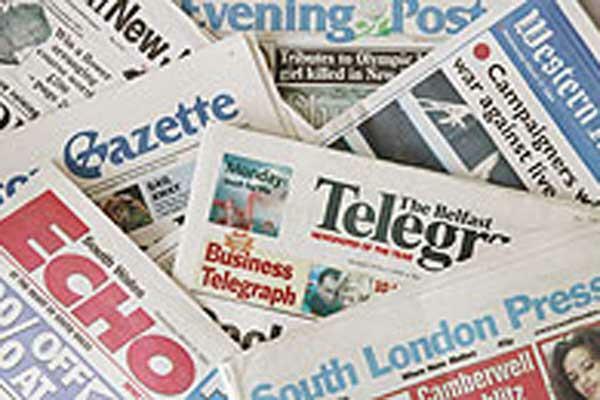 The other newspapers making this year’s top 500 list were the Financial Times (156), the Daily Telegraph and Sunday Telegraph (394) and The Independent and Independent on Sunday (491). Among the magazine brands ranked highly by the public were Vogue (222), consumer affairs title Which? (256), the BBC’s Radio Times (343) and The Economist (360). In a year that saw the BBC frequently in the headlines, the corporation’s brand was found to be the fifth best-known in the UK, down from fourth position last year. Google was named the UK’s third strongest brand overall. Microsoft came first.